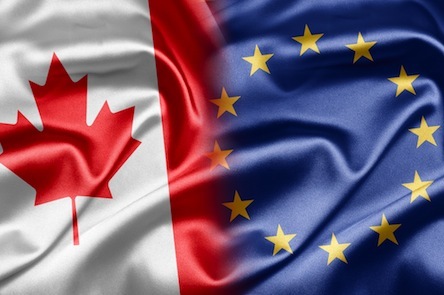 Free trade between Canada and the European Union (EU) starts this September. It increases opportunities for businesses, services suppliers, independent professionals, and short-term business visitors to receive a work permit in Canada. The Comprehensive Economic and Trade Agreement (CETA) — a free trade agreement between Canada, the European Union and its member states — will eliminate 98 percent of the tariffs between Canada and the EU. The “provisional application” of CETA came into effect on September 21, though many member states are yet to ratify the agreement. The government of Canada estimates bilateral trade will increase by 20 percent as a result of CETA. With regard to immigration matters, CETA facilitates entry for certain business persons who are citizens of Canada and EU member states by removing the requirement for a Labour Market Impact Assessment (LMIA) to be obtained before that person can legally perform work in Canada. The LMIA process ensures that companies in Canada may only hire internationally if it is determined that no Canadian citizens or permanent residents were ready and able to perform the role. The LMIA process also includes advertising requirements and processing times. CETA sets forth conditions whereby persons may transfer to work in Canada within the same company. The intra-company transferee provisions of CETA, described under the key personnel category, are similar to the already existing Intra-Company transfer program, with the addition of graduate trainees. Senior personnel and specialists may also to Canada without a LMIA. Here at Jane Katkova & Associate, we are Canadian Immigration Experts. We are helping dozens of new immigrants every week with Express Entry Canada, childbirth in Canada, startup visa and other programs from Immigration Canada.